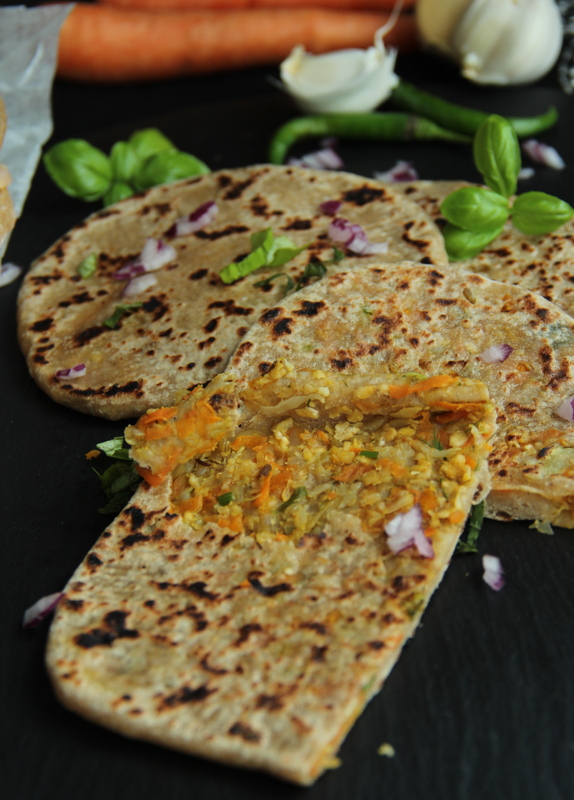 Tasty indian bread Stuffed with Cabbage, Carrot and Caulifolwer (C3) is a new combination. Stuffed with lightly cooked, crunchy spiced veggies. 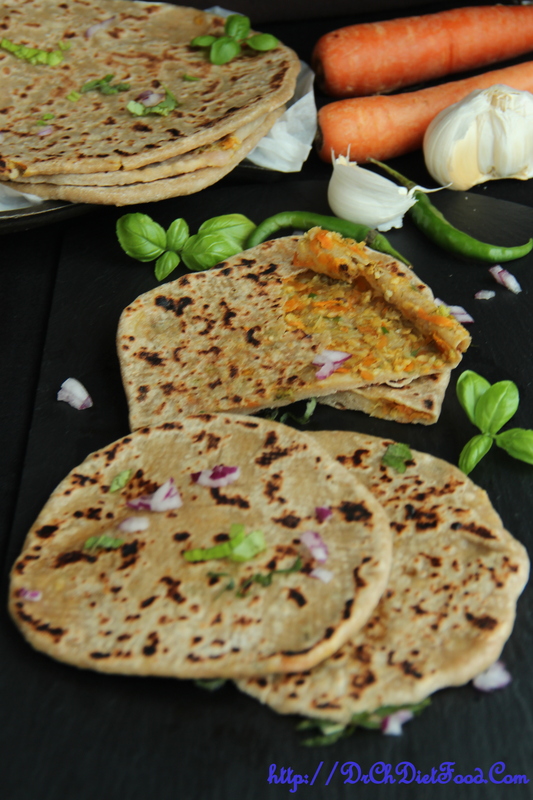 These parathas can be enjoyed during snack time, for breakfast or even a wonderful accompaniment with the meal. Cabbage is rich in vitamin c, carrots are rich in vitamin A. Cabbage and carrots are rich in beta-carotene which helps in improved vision. In a mixing bowl combine wheat flour, salt and knead to the soft pliable dough by adding warm water. Wrap it with the wet muslin cloth and keep it aside for 15-20 minutes. After resting drizzle some oil and knead the dough again till smooth elastic. Heat oil in a broad non-stick pan add onions, chilli paste, garlic paste and saute on a medium flame for 2 minutes. 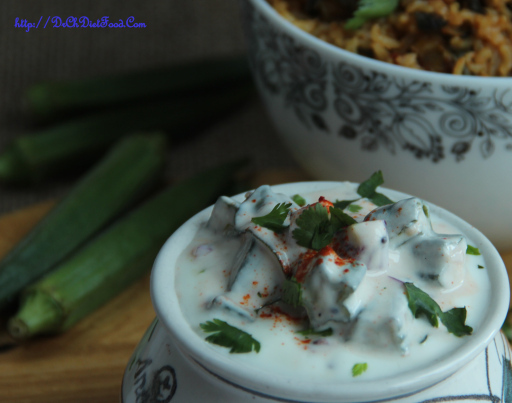 As it cools down add finely chopped cilantro mix well and divide into 7- 8 equal portions. Heat a non-stick tava and cook the parathas by drizzling some oil till it turns golden brown in colour from both sides. Repeat the same with the remaining dough and stuffing. Posted on June 30, 2015, in Indian, Main dish and tagged cabbage stuffed paratha, Carrot stuffed paratha, Chitras healthy kitchen, drchdietfood, Healthy stuffed Paratha, Indian flat bread, Stuffed Indian bread, Veggies stuffed Paratha. Bookmark the permalink. 57 Comments. We are all learning dear…. 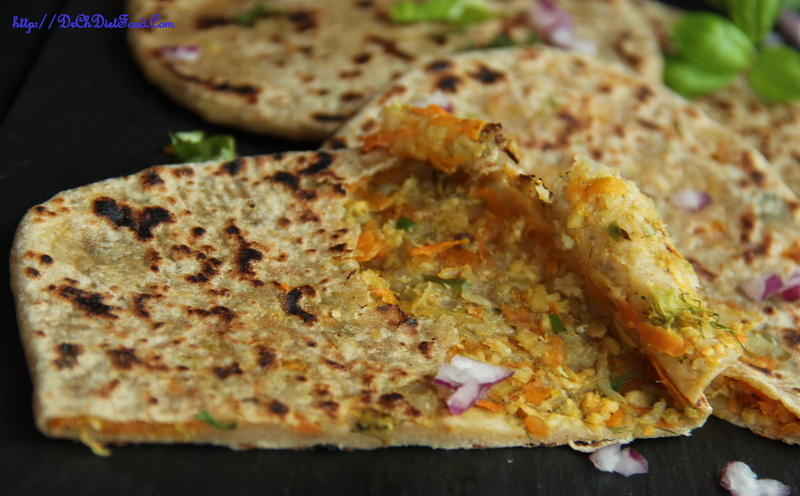 Love your stuffed paratha’s Chitra! It looks delicious. That filling sounds wonderful. Thanx Corina for your lovely feedback….have a lovely day…. Delicous! That filling sounds lovely! C4 indeed…. What better way to get a load of veggies in one shot! I’ll take four of these C4s of yours! YUM! 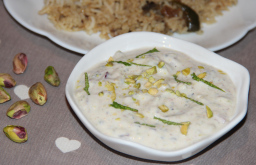 I’m always on the lookout for recipes like this for my 2yr old where I can sneak in healthy stuff without him knowing…parathas are best for that…thank you so much Chitra! These really look delicious 🙂 I’m not much of a cook, but with something like this it would be fun to give it a shot. Cheers! I’m looking at this gorgeous bread on the tiny screen of my phone… So maybe I missed it, but I don’t see eggs in the recipe… Yay!!! I’m allergic to eggs.